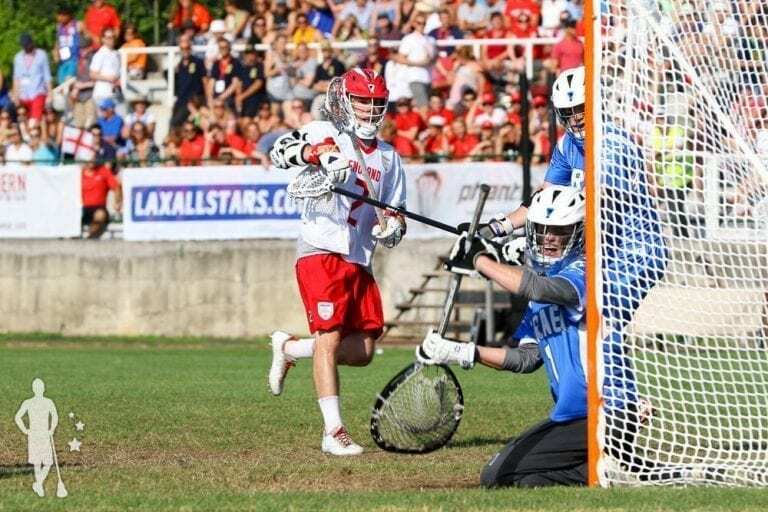 The Federation of International Lacrosse sent out a press release today that outlines the process to create a new set of rules for the sport of lacrosse in the Olympic Games. While the inclusion of lacrosse in the Olympics is still an ongoing process, the FIL has created a working group to flush out the details of how lacrosse could be played at the Olympics, should the governing body of the sport gain the ultimate approval for inclusion that it currently seeks. Check out the full press release below, and then read on for some additional thoughts and comments! Feel free to chime in with your own ideas in the comments section. We are VERY curious to hear what people think about all this! New York, NY – The Federation of International Lacrosse (FIL), in partnership with its member-National Governing Bodies, is initiating a consultation process through which members are being asked – entirely on a voluntary basis — to experiment with a new discipline and related set of playing rules for the sport of lacrosse. The new discipline and draft playing rules have been developed by the FIL Blue Skies Working Group, which is responsible for examining innovative ways to best position the sport of lacrosse for continued growth in the 21st Century, including the long-term ambition of returning lacrosse to the Olympic Games. This approach is consistent with work done by other leading international sport federations, including World Rugby and the International Basketball Federation, which have introduced new disciplines or other modifications to their sports while maintaining the integrity and traditions of their games. The Blue Skies Working Group, which is chaired by FIL Vice President Steve Stenersen, began its work in September 2018. Through a series of in-person meetings, conference calls and consultation with players, coaches and officials, a new discipline and initial set of playing rules has been developed. In January 2018, the FIL Board of Directors endorsed the direction of the Blue Skies Working Group and recommended that FIL members be asked to experiment with the new discipline and playing rules. Earlier this month, FIL members received the draft playing rules and have been asked to trial the new discipline, and provide feedback, during the next two months. Based upon feedback from the FIL membership and further revision to the discipline and playing rules, the Blue Skies Working Group intends to present a final proposal for approval at the FIL General Assembly, August 12-13 in Peterborough, Ontario. If approved, the new discipline will be a complement to the current field and indoor disciplines sanctioned by FIL, and in no way will replace those disciplines. The new discipline pertains to both men’s and women’s lacrosse, and is not a unified or coed division. Phew! That was a LOT of info to digest, but considering we’re working in the world of sports, where big announcements are usually kept tight to the chest, I actually find the FIL’s transparency on this issue to be very refreshing. It’s a BIG change for sure, but the FIL isn’t trying to hide it, or pull a fast one on anyone. The members have now known for a while (and been invited to participate in the process) and now we the public officially know as well. And it’s still a work in progress. But when it comes to transparency, this is a move that really should to be applauded. Creating a new version of your game is a tough thing to do, but the FIL isn’t ducking it. “Why can’t the men’s and women’s games just stay as they are?” Have you ever watched the Olympics? Do men’s and women’s sports REALLY look that different to you? No, they don’t. Sure, there are some differences, but they are typically small, like limiting contact in hockey or adding rings for male gymnasts. Overall, the differences are minute. If lacrosse, a NEW SPORT TO THE GAMES, wants to get admitted to the Olympics, do you think it will need to be more like other Olympic sports in terms of rules similarity between the genders, or less? The answer is more. There is really no getting around this, and you can see the evidence of it in many of the points about a need for similarity between the men’s and women’s disciplines. It’s also important to recognize that these rules would ONLY APPLY TO THE OLYMPIC GAMES. “Why can’t we just play the men’s (or women’s) game?“ Seriously? There is going to compromise here, on both sides. There simply has to be. Expecting the men to play the women’s game, or expecting the women to play the men’s game is quite silly, extremely divisive, and will NEVER HAPPEN. Please move on and save us all the headache. “Why doesn’t everyone play box lacrosse instead?” Less countries play box than field, few women outside of Canada play box, there are no FIL championships for women’s box or the U19 box for either gender, and building rinks creates headaches, costs, and hassles that field sport events do not create. If lacrosse can be played on a field that can also be used for Rugby 7s, that’s a win for everyone. 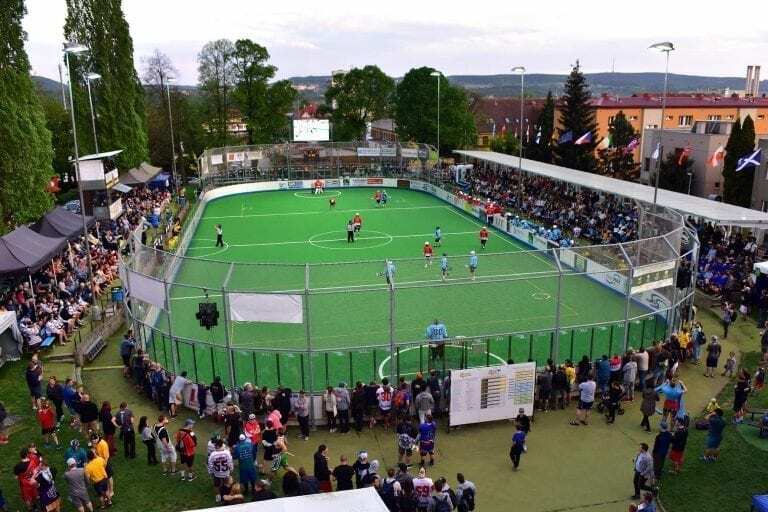 Building boxes at every Olympic location is not a cost-effective option, and it also means that the Olympic version of the sport can only be played in countries that have access to box facilities. A small field on the other hand can be found in any country in the world right now. It’s going to be a field version of the game for all these reasons. Also, look at the emphasis on hitting. My guess is that doesn’t change no matter what the other rules are. It’s the way the game is going. And box without crosschecks and hitting isn’t really box. Who wants to do that? “Why are we changing anything? 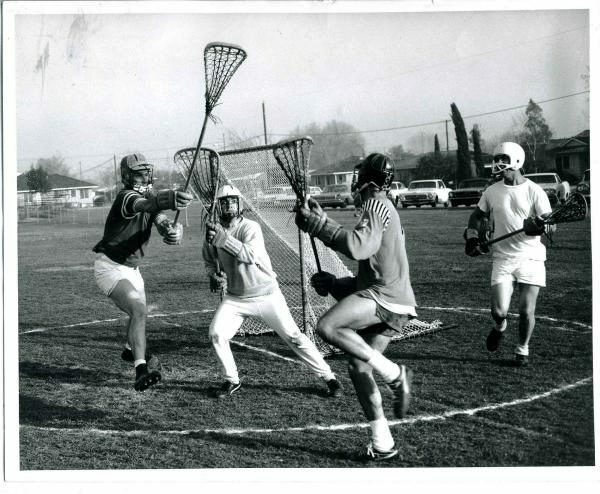 Lacrosse has never changed!” Well, first off lacrosse has ALWAYS changed. College rules change all the time, MLL created new rules for their league, men’s field used to have 12 players a side, you could put 12 poles on the field at a time, women in Massachusetts used to wear helmets, fields used to be giant ovals with boards around them, women didn’t have boundaries, the shot clock wasn’t a thing, box players didn’t wear helmets, box wasn’t a thing before the 1930s… the list goes on and on and on. The game of lacrosse has ALWAYS changed. Many of the First Nations in North America had their own version of stickball, and they were all different. There is a long history and legacy of a changing game in lacrosse. You can fight it if you want, but don’t be ignorant to history. And listen, I gt it… For a long time, I was a field traditionalist myself. It’s what I played, it’s what I knew, and it was the game I appreciated. I thought it was the purest form of the game, because it was the only form I’d ever played. Then I played box. It was fun, a new challenge, and a great sport. I love box, but I also love field. Then I played some short side lacrosse. It was also fun, and another new challenge. And this has held true with any version of the sport I’ve ever played. I played a women’s game once, and surprise surprise… it was fun! Have you ever played snow lacrosse, or beach lacrosse? When was any of it bad? For me, it never was. The elements of lacrosse that make it fun – the skill, the athleticism, the toughness, the trickery, the teamwork required to win – none of these things have ever left the game, no matter how it’s been played. Does anyone really believe these things will disappear with the above proposed rules and changes to the game? Yes, the game will be different and it will change, but nothing in the above rules makes me think the essence of lacrosse will be missing in any way, shape, or form. At the end of the day, I’m keeping an open mind to these new rules, and this new direction for Olympic lacrosse, simply because I have yet to encounter a version of the game that I did not like. If it works out, and kids around the world see a short-sided game being played, and it makes them want to play, what’s the harm? To me, that sounds great. If it means that more kids in New York City or Paris or Hong Kong can play the game on smaller urban fields, then that’s great too. If an Olympic short-sided game makes it easier for kids in small town Iowa or Bavaria or Mozambique to play lacrosse, then I am absolutely all for that as well. My personal experiences with short-sided lacrosse have been extremely positive. It’s fun to play, exciting to watch, and easier to understand for people who are new to the game. It keeps costs for national teams down, and allows the sport to continue to focus on growth around the world by introducing a new version of the game that can be played anywhere by anyone. 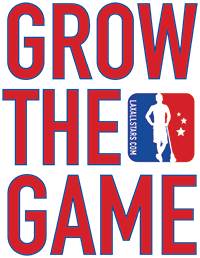 I try to live by the Grow The Game motto, and ask myself if I think something will help the game grow, or hinder efforts to see it expand. When it comes to a short-sided version of the game for the Olympics, I really don’t see much downside at all and I would definitely tune in to watch every 4 years when it was on the Olympic stage. OK, my general feeling is positive on the rules, and obviously the change to 6v6 is huge and has big implications, but here are a couple detail points that interest me greatly. I definitely want to see more, and how some of the rule changes could play out! 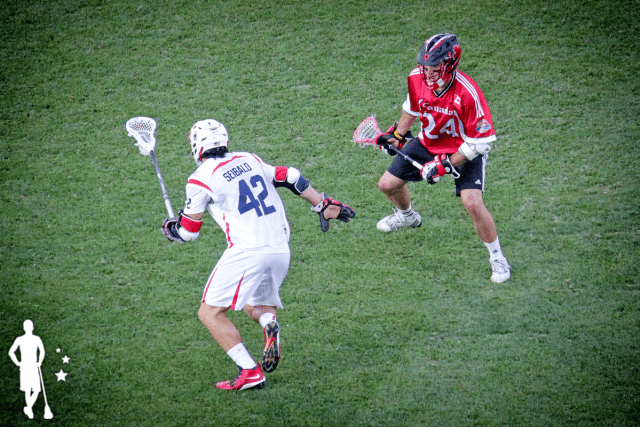 Less Face Offs – Draws will only take place to start the 8 minute quarters, or to start OT. This basically means there are only 4-5 draws in any game, and after every goal the goalie picks the ball up and puts it back in play within 5 seconds. I like face offs personally, but they do slow the game down and can confuse people who don’t understand them well. This approach simplifies the game, but keeps draws in the sport as a compromise. It will also reduce goal celebrations, as action picks up right away. The hardest thing for fans will be to tell what was a goal and what wasn’t when crease violations happen and a goal is scored, but not counted. Referee mechanics will be very important there for players and fans alike. Will people be mad about less draws in the game? FoGos certainly will be. No Longsticks – As a former longstick I… actually kind of like this rule? That was weird, and I can see where people will disagree with me, but again it simplifies the game and makes it more approachable to fans. Goalies can still use goalie sticks, but like hockey, lacrosse defenders and attackers will use the same sticks. It makes some sense really. But when you look at some of the other rules, and how they could layer on top of each other, I’m not completely sold on this idea. A great longstick is a great asset and is fun to watch. Less Big Hits – There will still be bumping of hips, ball focused collisions, and plenty of physical play, but the idea of lining someone up and knocking them off their feet is not going to be part of this game. Olympic hockey is similar in this regard where huge hits have been limited or reduced. It does seem like the men will have more contact and padding than the women, but Kyle Devitte asked a good question to me on Twitter here: Does NO big collision stuff change the men’s game too much by taking out the threat of a big hit? It’s a fair question to be sure, but the women’s game seems ok without it. 45 Second Shot Clock – With a short field, the shot clock can be at 45 seconds and teams can still run a cohesive O and force teams to play good defense. How different teams use the clock on O and D could be really exciting and even lead to upsets. I like it. No clearing clock with such a short shot clock, but it does seem to take effective riding approaches out of the game to some extent. Offsides – UPDATE: The old offsides interpretation was wrong. Here is the correct one: The intention is that a team must always keep at least two players on its defensive half of the field (typically a goalie and one field player)…and at least one player on its offensive half of the field…resulting in 4-on-4 play in the offensive half of the field, in addition to a goalkeeper. Of course, a time serving penalty would great a “man-up” offensive opportunity. Both teams need to keep two players back, and if I’m reading this correctly, that means that each team will have 4 players on offense, and 3 field players and a goalie on defense. That means each O possession will in essence be man up, and every D possession will be man down. This one is interesting, and I really want to see how this plays out. I’m not sold on it yet, but it intrigues me greatly. You’d certainly see a lot of scoring if every possession is a 4 on 3 AND there are no longsticks. Definitely need to see this rule in practice. Shot Back Up GONE – If you shoot the ball out of bounds, the other team gets it. Last one to touch it loses it. With a shot clock, and constant man up, this only seems fair. It also makes WAY MORE sense to the average sports fan. Team A threw the ball out of bounds, Team B now has the ball. That’s not how we’ve played the game, but it is much more simple and consistent across the sport and other sports. With a shot clock, teams HAVE to shoot the ball or drop it in the corner. Will we see more shots on cage, or less? Another one that has me all sorts of curious to see how it plays in practice. The biggest issue for me on truly judging these rules is that I have not seen them in action with my own eyes. As we see more of that, it should be clear what works well and what does not. Having this preliminary info is great though, and it’s an interesting look into how the FIL is looking at the game of the future. Overall there are a number of major changes, but as I said above, I’m not sure any of them (or the sum of them) truly changes lacrosse to anything other than lacrosse. The process here will take time, and even after a “final” set of rules has been agreed upon there could still be changes (see our current NCAA rules as an example of constant tweaks and changes). The rules may or may not appeal to you personally, but for the growth of the game they could do a lot of good, and it seems like the worst case scenario is that a new fun version of the game gets invented. At the end of the day, that’s pretty good.